The first installation of CarePlus™ Wireless has been commissioned by PacTechnika, a CarePlus™ Partner and system integrator in Victoria, Australia. CarePlus™ Wireless is the go-to Nurse Call solution for those requiring dependable infrastructure, increased battery life and future-proof compatibility. This system exceeds all workflow application standards with superior design and operations. 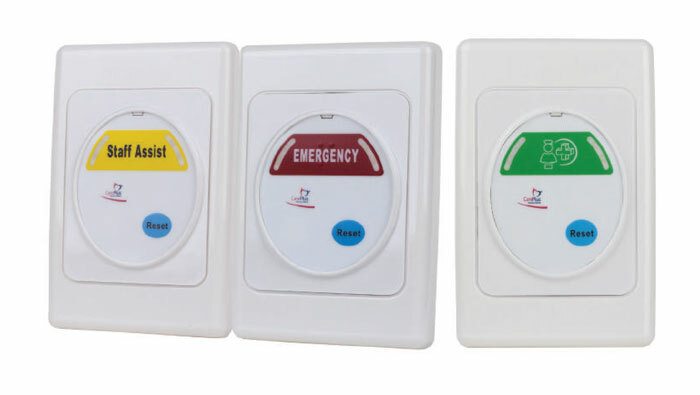 It is the ideal choice for aged care facilities, mental health facilities, drug and alcohol units, dementia units, and other medical agencies. Paul, the managing director of PacTechnika, wanted a system that worked within the infrastructure constraints of an older building, creating minimal disturbance and speedy installation for Hobson Healthcare. Paul says, “From ordering, to programming, and from installation to commissioning, it was all easy.” Paul thought his favourite feature was, “…the minimal amount of equipment and real estate required for it to work… RF coverage was great within the old building and the speed of the Call Points had no measurable latency to the signs, even when cancelling calls.” PacTechnika also noted CarePlus™ was the “preferred choice” of any Nurse Call system available. No cabling, which is a feature exclusive to CarePlus™ Wireless, provided Paul with the flexibility of broad access within the limited infrastructure of the facility. Faster performance, easy communication, and a user-friendly network are just some of the benefits comprising this Nurse Call solution. CarePlus™ Wireless integrates next-generation technology with traditional results to produce the ultimate Nurse Call system. For more information on the benefits, features, and technological advantages of CarePlus™ Wireless, please click here to read more.